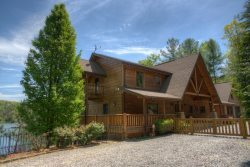 Cozy, rustic couples cabin located in the heart of Alpine Helen Ga. This one bedroom is a perfect retreat for a romantic getaway or a small family trip. Ann’s Cabin is a wonderful one bedroom cabin with a open floor plan. Ann’s cabin is perfect for those wanting to be close to Helen for shopping, restaurants, or one of our many events hosted in Helen. It's the perfect home base for all your mountain activities! 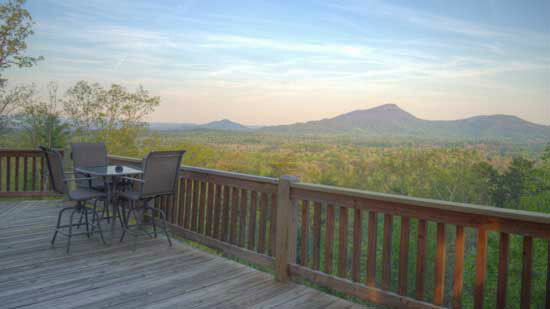 Tucked away just off the beaten path, Ann's Cabin offers the best of both worlds! At just .25 mile off Main Street in Helen, you can walk to restaurants, shops, and all the activities Helen has to offer, or just relax in the beautiful wooded setting. Ann’s Cabin offers a wonderful open floor plan that is nicely decorated and comfortable for up to 4 people! Reserve your dates today for this lovely Alpine Helen cabin! I enjoyed my stay in Helen...I will definitely be using this same company again..
We enjoyed the cabin. It fit our needs perfectly. Very clean and quiet area. Everyone that I talked to or came into contact with on the team were very kind. Absolutely loved it! Thanks for giving us the opportunity to enjoy the cabin! Team members were quick to respond even though it was after hours and gave good directions. Property was clean and beautiful.